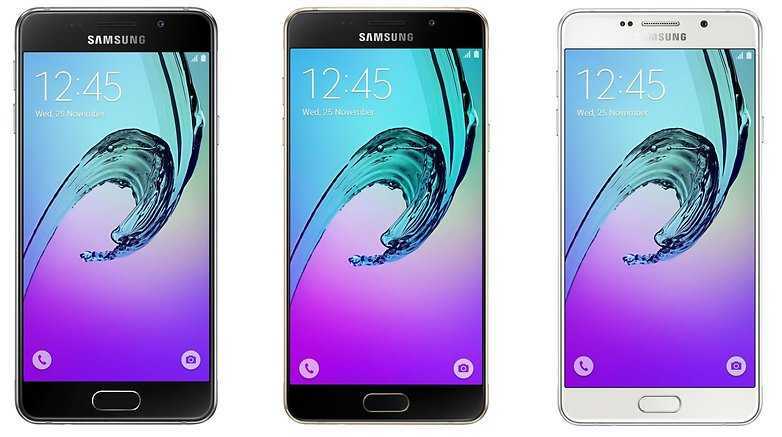 It is no longer a rumor or speculation, but Samsung Galaxy A3 2017, Galaxy A5 2017 and Galaxy A7 2017 are now official. Just like the rumors have been pointing out, the three phones are indeed real beauties. Samsung has also packed some of the best features you can rarely expect from a midrange phone and the design is simply class. When it comes to the cameras, you’ll love what is on offer, be it the front or the back. The Galaxy A 2017 series will attract you right from the word go. Samsung went for a 3D glass back and metal frame that takes after the premium Samsung design language. The camera is sleek and the home key is even much ahead while the color variants available are four – Gold Sand, Black Sky, Peach Cloud and Blue Mist. Those who love compact phone have Samsung Galaxy A3 2017 to turn to. Featuring a 4.7-inch Super AMOLED Always On display screen with 720p HD resolution. Under the hood, there is an octa-core processor clocked at a speed of 1.6GHz and is paired with a RAM of 2GB. You get 16GB of expandable storage, with room enough to accommodate a 256GB microSD card. There is a rear camera of 13MP with f/1.9 as the aperture. The front snapper has an 8MP lens with the same aperture. Like in the rumors, there is support for Samsung Pay, USB-C connectivity, fingerprint scanner as well as IP68 dust and water resistance. The Galaxy A3 2017 measures 135.4 x 66.2 x 7.9 mm and has a 2350mAH battery unit. Up next is the Galaxy A5 2017. The phone has a screen size of 5.2 inches – a Super AMOLED panel with Full HD resolution and the same Always On display feature. Like the A3 2017, you also get an octa-core processor, but this one is clocked at a faster speed of 1.9GHz. This speedy Exynos 7880 is paired with a RAM of 3GB while the internal storage stands at 32GB. There is room for expanding this storage using a microSD card of up to 256GB. The Galaxy A5 2017 also offers much better photography specs. The front panel has a 16MP snapper with f/1.9 aperture, the same you find on the rear 16MP snapper. Similar to the Galaxy A3 2017, the A5 2017 also comes with Samsung Pay, a fingerprint scanner, USB-C, as well as IP68 certification. The Galaxy A5 2017 has the same thickness as the A3 2017, but it is obviously taller at 146.1mm and 71.4mm wide. The 3000mAh battery on board supports fast charging, meaning you don’t have to worry about getting late just because of charging your phone. The high-end Samsung Galaxy A7 2017 has the largest display room of the three. It features a huge 5.7-inch Full HD Super AMOLED Always On display screen and has an octa-core processor clocked at a speed of 1.9GHz under the hood. This SoC is paired with a RAM of 3GB and onboard storage of 32GB. Like the rest of the Galaxy A 2017, you get a microSD card slot. The phone has the same camera specs as the Galaxy A5 2017 alongside the likes of Samsung Pay, fingerprint scanner, USB-C, and IP68. Samsung Galaxy A7 2017 has the same thickness as the rest – 7.9mm – but since it has the largest screen size, it is also the tallest with a height of 156.8mm while the width stands at 77.6mm. The battery is equally big at 3600mAh and also supports fast charging technology. All three Samsung Galaxy A 2017 smartphones come preinstalled with the year-old Android 6.0.1 Marshmallow OS, but we expect an update to the latest Android 7.0 Nougat to come at some point this year – when exactly is still the question we’ll soon find the answer to.